platforms. 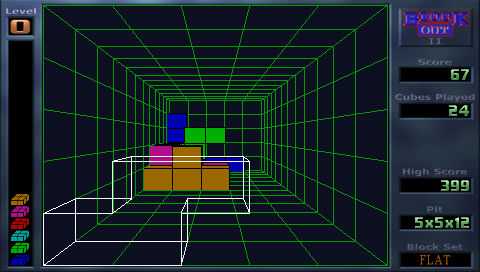 Original BlockOut was first video game which transfered tetris from 2D into 3D. Find download links for BlockOut_II_PSP below.